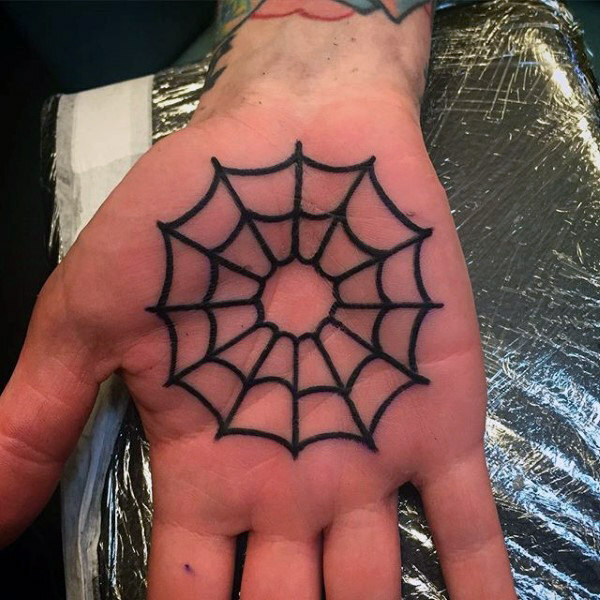 Palm tattoo is something you should get only if you already had experience with tattoos or if you have a high tolerance for the pain. 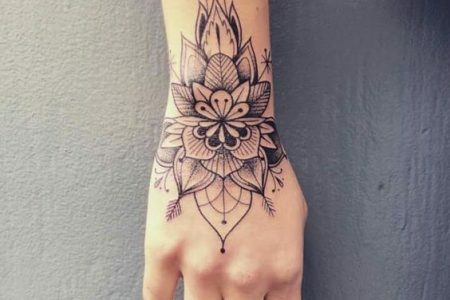 Because palms are a sensitive area and have almost no fat, getting a tattoo, there is going to be painful. But, if you have some tattoos or have a high tolerance for pain – palm tattoos are a perfect choice. Let’s take a look at the most popular designs and ideas. 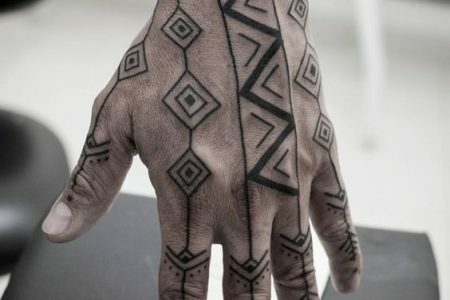 Sacred geometry tattoo on both palms. 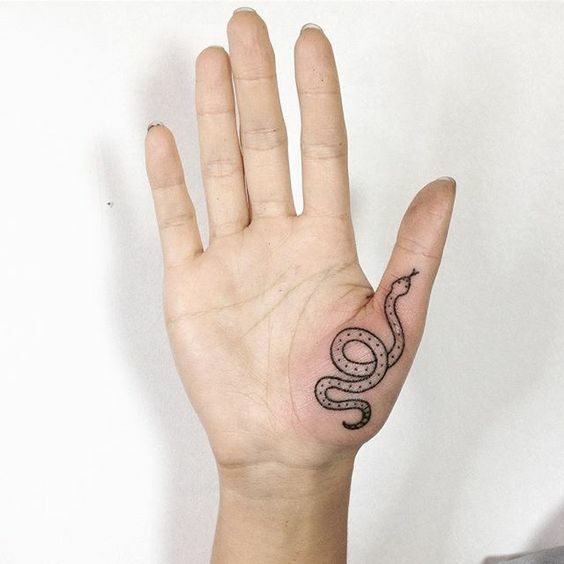 Snake tattoo on the palm. 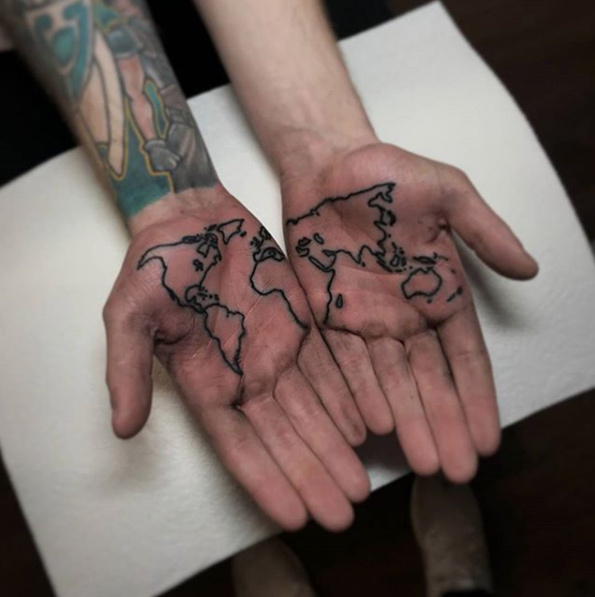 Two black tattoos on both palms. Some parts of our body are much more sensitive than the others. That’s because the distribution of the sensory receptors is not even in different parts of the body. Also, the process of tattooing is less painful on the body parts with more fat. The palm is one of those most sensitive areas. Some say that it is approximately four times more painful to get a tattoo on the palm than on the shoulder of the calf. Another problem with the palm is that the skin on it regrows and renews faster than on the rest of the body. It is a place which continually gets a lot of rubbing and performs many actions throughout the day. So, the tattoo on a palm is more likely to change its color or blur after some time. This means you will have to go to your artist every half a year or so to retouch it. You should also know that the direct sunlight affects the color of your tattoo too. So, don’t forget to protect it from high exposure to the sun. Finally, your palms are well visible part of the body. So, before getting a tattoo, you must be sure that you won’t have any problems when you are looking for a job in the future. Many jobs still have an anti-tattoo policy, so if you are in that line of work – palms are not the best choice. 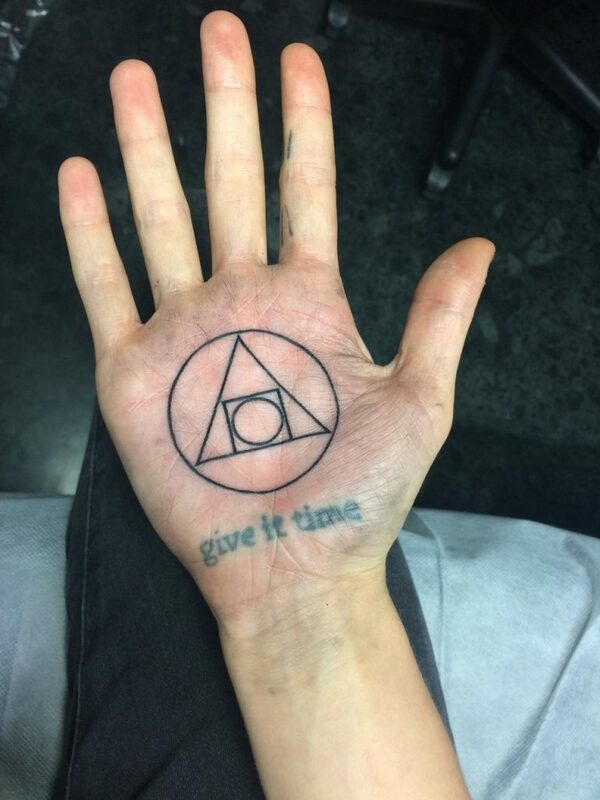 If you ask us – it’s not worth getting a tattoo on the palm. Mainly because it will fade away and you will have to go to retouch it. If you want to get through that painful process once again – it’s your call. But if you wish a well-visible tattoo that is less painful, we’d recommend getting it on the hand, wrist or the fingers.